About Michael Thomas - ICON Architecture | Planning, Inc.
Mike is co-founder of ICON Architecture | Planning, Inc., a full service, multi-disciplined design firm located on Hilton Head Island, SC. The firm was established in 2000 and is a regional design firm with projects designed in SC, NC, GA, TX, NJ, FL, and The Bahamas. He is a 1992 graduate of the Savannah College of Art & Design with a Masters of Architecture and a 1985 graduate of The Citadel with a bachelor’s degree in Political Science. 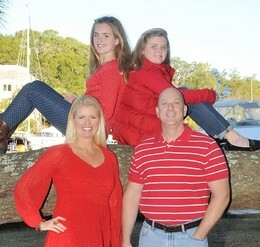 A native of South Carolina and longtime resident of Hilton Head Island, Mike enjoys spending time with his wife of over 20 years and his two daughters on the beaches and waters of the SC coast.